Be Our Guest Restaurant in Magic Kingdom Park has been a guest favorite since it opened with the New Fantasyland expansion. Beginning February 25, it is with deepest pride and greatest pleasure that we welcome you to make reservations for the fast-casual lunch experience at Be Our Guest Restaurant. Guests will also have the option to pre-order their meal 30 days prior up to 5 minutes before their reservation. Lunch is served daily from 10:30a.m. – 2:30p.m. 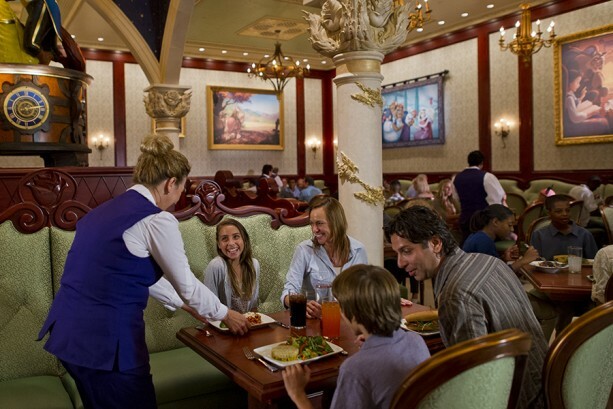 Reservations can be made beginning February 25 via My Disney Experience, by visiting disneyworld.com/dine, or by calling 407-WDW-DINE. Don’t forget to try “The Grey Stuff” on the Master’s Cupcake while you’re there … it’s delicious! *UPDATE* Disney has confirmed Be Our Guest lunch WILL still be a counter service option and will remain 1 QS dining credit at lunch and 1 TS dining credit at dinner. Reservations will open for 180 days out on 2/25 at 6am est online and 7am est on their phone system! Meals can be pre-ordered 30 days in advance of your reservation.